Very interesting that you are on this website. The subjects of which you cover in some of your articles and the books you have written are indeed, food for thought. You will find a majority of those we call, democrats here, do not share much of any belief in anything that is not centered on lies, hateful opinions and a negative response to anything even slightly connected to the word, religion, faith, charity (as how it should be meant) or values of an honorable way of life. Do not be shocked by the language and adverse tactics that may be tossed your way from any one of them. Some of us, (myself very much so) find that to deal with some of the super immature and nasty elements that hang around here, are dealt back the same nastiness that they deal out. Sort of a fighting fire with a Nuke! There are however, many here that sure will welcome some open minded conversation. I myself, personally hope you will find some of us worth exchanging information and some “thinking”…thanks for being here. I believe we share the same political beliefs, which is that of President Trump to Make America Great Again! Hello and Welcome. Always nice to see new people joining in and swelling the ranks. I see you are advocating that Muslims revise the Qur’an, as a way of making their belief system more in line with peace and harmony. A laudable goal to be sure but you should know that the Qur’an is not up for selective editing or revision because Muslims believe it to be the actual word of God, as directly recorded. 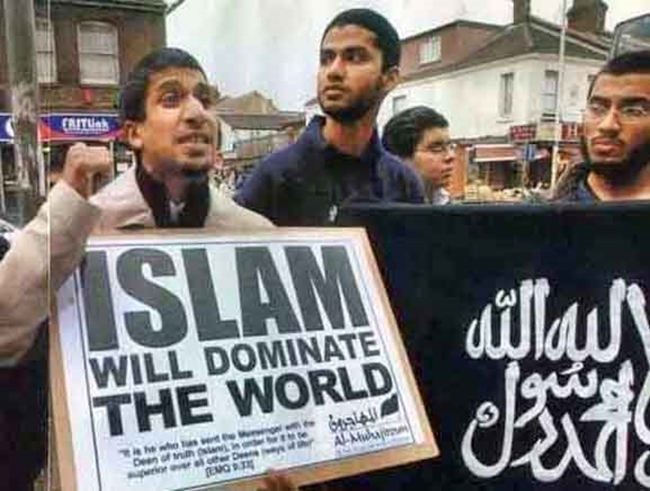 While I’m not exactly an expert on Islam, I would venture to guess that they would be quite resistant to amending it. Just so you know. Thank you for your reply. I agree that like all religious organizations, they all profess that their scriptures were given by God and cannot be changed. But educated people know that the written word by righteous men in ages past are archaic, full of myths and commands that, though useful at that time, are not for intelligent, discerning human beings. That is why, as an example, I included in the article how the Priesthood of Amon were astute and intelligent enough to revise their beliefs, over many generations, until finally they advanced the belief in one universal God, Amen. Scripture, beliefs, are NOT encased in stone never to be updated as mankind becomes wiser and learns more about nature and our universe. To NOT revise our scriptures is to be caught in a cage of age-old thinking and stupidity. 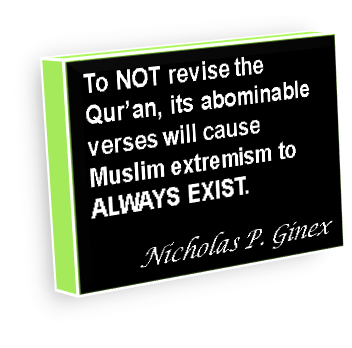 Like Hebrews and Christians, Muslims believe that their scripture is inviolate, never to be changed. But we all know that the scriptures were written by the minds and hands of (inspired and holy) men. The question is, will the world experience another World War before religious leaders learn that their scriptures are in fact, the source of discontent that indoctrinates followers to not accept the beliefs of other believers? To assist the people of today to understand that it is the human mind that develops the beliefs we so much cling on to. But these beliefs are far behind the intellectual and educated mind that developed the transmission of voice on telephones and TV. Mankind has got to get a grip on facing the truth that it is the human mind that developed our beliefs in God and the moral codes we follow to exist peacefully with each other. Hopefully, our schools, from elementary grades well into higher learning that produces scholars, will teach the development of religions and beliefs in God so that we learn we are still at the forefront of advancing as wonderful and loving human beings. This stage of moral and intellectual growth can only occur when we are willing to study how and why we believe in something fabricated by the human mind.